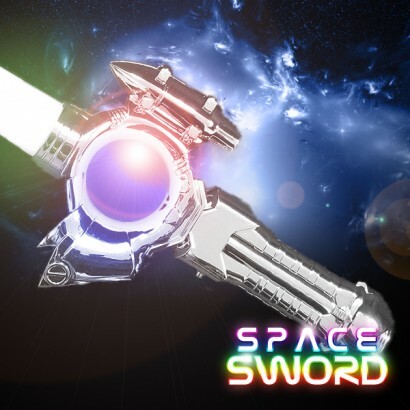 Stunning light up space sword with futuristic handle design. 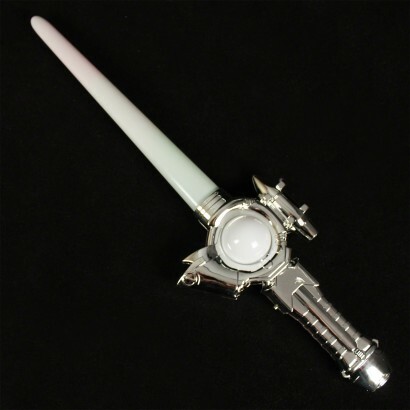 Very bright lights in multi-colour and a mysterious colour morphing orb in the handle finished off in chrome style. It's big and includes sound which means you get alot of effects for your money! 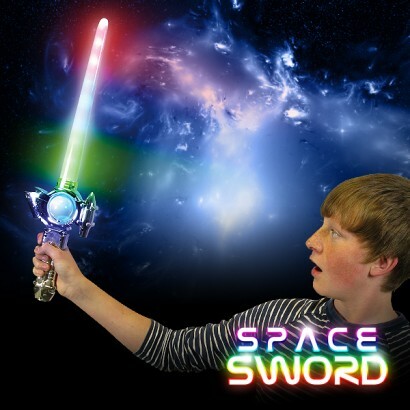 Bright, colourful and fun these space swords really get noticed!